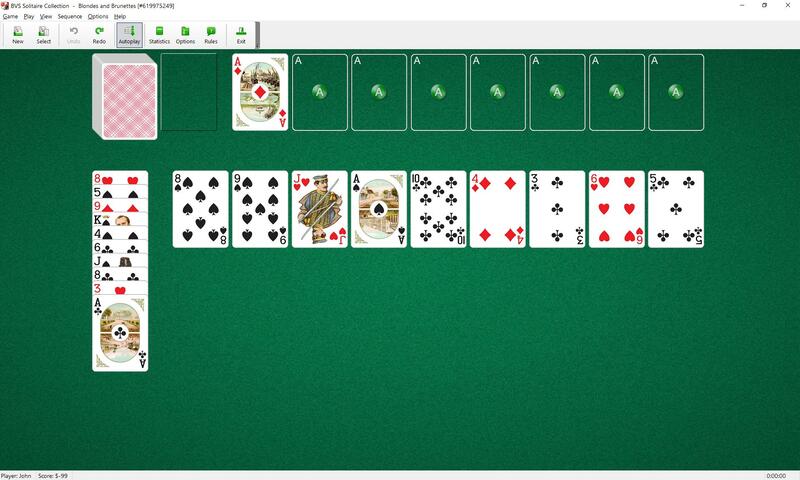 Blondes and Brunettes Solitaire uses 104 cards (2 decks). Ten cards are dealt to the reserve pile. Then 9 cards are dealt to 9 tableau piles. The next card is dealt to the first foundation pile. The 7 other cards of the same rank are moved to the Foundations as they become available. You can build tableau piles down in sequence and alternating color. 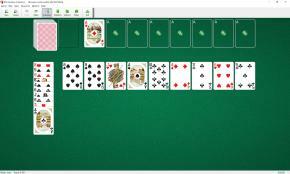 The top cards of tableau piles and the waste pile are available to play on foundations or tableau piles. Only one card at a time may be moved from pile to pile. Spaces are filled automatically from the waste or stock piles. The top card of the reserve pile is available for play on the foundations only. It cannot be moved to tableaus.